In today’s marketing world data is more valuable than ever. It helps you make more informed strategic decisions and get you the results you need -- but only if you take action on it. Luckily, Google Analytics (GA) provides concrete data on what’s happening on your website every day and help you find and take down red flags before it’s too late. 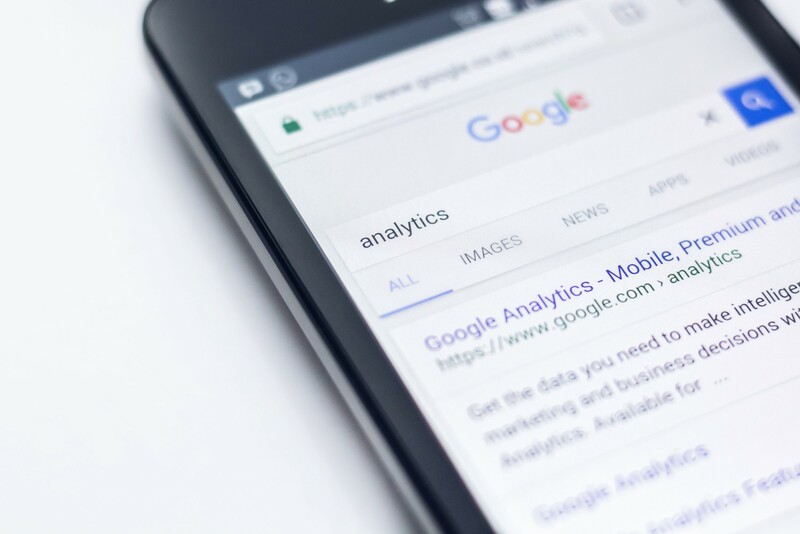 Once you start making Google Analytics a normal part of your routine, you’ll likely notice what’s wrong with your website immediately rather than finding out you were missing key things from the start. If you’re noticing that your website performance has dipped, you need to use the resources you have to figure out why. Time On Site is a key metric that you need to look out for when analyzing your Google Analytics account. It informs you of how long people spend on your overall website but can be boiled down to look at the average time on page as well. Looking at the average time on page can give you a lot of information, good and bad. If a page has a low time on page, but also has a lot of conversions then you know it’s doing its job, or you know they found what they found what they needed quickly; that’s great! However, if you see the average time on page as low AND see this page on a list of high exit pages then you may have a problem with visitors finding what they’re looking for on your page. In order to find out how much time users spend on your website go to the Average Time on Page and Average Session Duration metrics within your Google Analytics account. To get there go to your Behavior menu, click on Site Content -> All Pages. At this point, you organize your website pages by decreasing page views to see what pages led users to spend the least amount of time on-site. These insights allow you to determine which pages have captivating content that keeps your visitors on the page or persuasive copy that pushes them down the funnel. Take the 10 pages with the lowest on-site time and really take a look at the content on those pages. Make a plan to rework what you have and then let it run for a month then check back in to see the improvements! Continue down the list of pages until you’ve made improvements to each page. A high bounce rate on your site means someone came to your site from Google and then leaves almost immediately. Having a high bounce rate generally means that you have misleading marketing copy that doesn’t relate to what you had in your meta description or the keywords you were aiming for. It can also mean that your website is taking so long to load that the person just gives up! Another website issues that cause slow bounce rate are no-mobile friendly designs, tons of pop-ups and ads, or videos that auto-play. If the page has a high bounce rate, but also a high conversion rate, then this actually isn’t a bad thing. It means those who are coming to the page are immediately completing the action that you want them to complete. Be sure to take all of these into consideration when reviewing bounce rates. You can see your average bounce rate on your dashboard, but to view which pages have the highest bounce rate head back over to the Behavior menu and select All Pages. Sort your results by decreasing bounce to see which individual pages have the highest bounce rate. Take a look at your list of pages and, again, pull the top 10 or so pages that have the highest bounce rate and see which of the above issues could be the problem: is it content based or is it a site-wide design issue? Either way make those changes to start keeping visitors on your page and decrease your bounce rate. Self-referrals is a big metric that a lot of people don’t pay attention to, but they should! Simply put, self-referrals are referral traffic that originates from pages within your own domain. You’re probably saying to yourself okay, why’s this a problem? It means that when you set up the tracking on your website, you either missed adding a tracking code, didn’t set-up cross domains, or other tracking specific issues that allowed Google to capture this information. This is bad because it skews your results and affects your ability to make informed decisions. To fix this issue go to Acquisition > All Traffic in Google Analytics, then click the “Referrals” source. Then you’ll need to figure out which pages are the cause of the issue, by finding your domain name under “Source” viewing all the individual pages that show up. Luckily, if you only see a couple pages, you can easily add the tracking code by copying the Tracking Code Google provides and adding it into the <head> tag of each page. If you have a whole folder of pages, then you need to update each of your templates with the code so that it’s across the whole site. Once you update this those pages will be all set, but make sure you continue to add the tracking code to ANY new page you create moving forward. Visitors to leads is basically your conversion rate. If you’re in Google Analytics and you see that you have a lot of visitors but none of those visitors are turning into leads, then that’s a major red flag that those coming to your site don’t feel there’s enough value to start working with you or even subscribe to your content. There are a lot of reasons why your website could not be converting visitors into leads, but the most important might be the wrong audience. It’s very difficult to achieve any of your goals if your website is targeting an audience that makes zero sense for your end goal. Take a hard look at the people coming to your site and your current customers. Are you pushing them to the correct path? Does your copy speak to their pain points? Is it consistent with your brand message? Take a good hard look at your site and ask yourself these questions. If the answer is no then it’s time to start building out a better plan for creating conversion opportunities on your site and making sure your copy speaks to your visitors. This one will take a lot of time and effort to correct, but will 100% be worth it in the end. You may end up making some big changes, but those changes will help you make your site a customer producing machine. Your number of visitors is exactly what it sounds like, the number of people visiting your website; in other words, your traffic. You may be in a position where you don’t even have a lot of visitors coming to your site, which essentially means your site isn't doing what it’s supposed to. If you’re not getting views on your site how will it attract customers? There are a couple of big things that could be causing this. I’ll start with the easiest one and then make my way down to the most time-consuming. This could mean that you have a “no index no follow” in your head tag that’s blocking Google from crawling your website. If this is so, that means new people aren’t going to find you in search engines, and we all know you ultimately want search to be your highest traffic source. Luckily, you can easily remove that code from your pages and re-submit your sitemap. Once you take care of that your pages will start being indexed by Google and you should see your traffic rise! If your website is loading slow then Google won’t rank it in the top search results. It doesn’t hold as much weight as relevance, but your rank will decrease if Google notices it takes forever to load a page. Head on over to Pingdom and test your website speed. If you find your site is slow (10 seconds or more), this is another issue that can be fixed by making a couple small changes. Now we get into the tricky stuff that could affect your marketing efforts. If you have low site visitors, dive in to see how your organic traffic is. Check that the keywords you’re trying to hit are actually highly searched terms. If you’re targeting keywords that get 10 views a month, then that’s the number of views you should expect your website to get. Use tools like Moz Keyword Explorer or SEMrush to check the search volume of your current keyword targets. These tools also offer suggestions as to how you expand your search volume so use those and start building them into your marketing plan. Your website isn’t static digital billboard; it requires oversight and analysis. You need to constantly be reviewing and making improvements on it. Utilizing Google Analytics can help you take the pulse of your website, and tell you what is or isn't working. It also gives you actual data to go off, which will produce actual results for your company. Don’t ignore the warning signs when it comes to your website. Keep an eye on out for them, make updates, and then test out the changes.